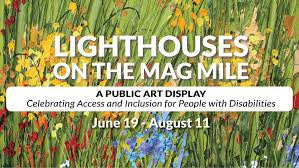 I am so excited to share that Anthony Alfano, one of my AV graduates is featured in Lighthouses on the Mag Mile, a public art display celebrating access and inclusion for people with disabilities from The Chicago Lighthouse Deaf-Blind Program . 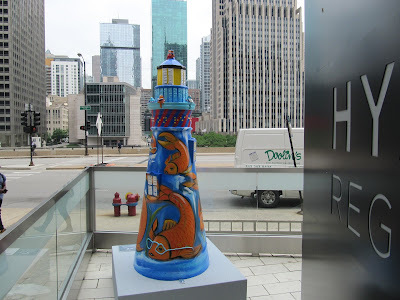 Fifty-one 6 foot lighthouse sculptures on North Michigan Avenue are catching the public’s eye and capture their hearts this summer. 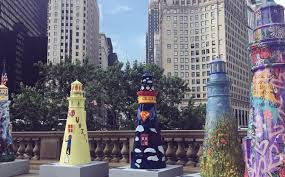 Anthony is pictured as King Cole the merry old soul. 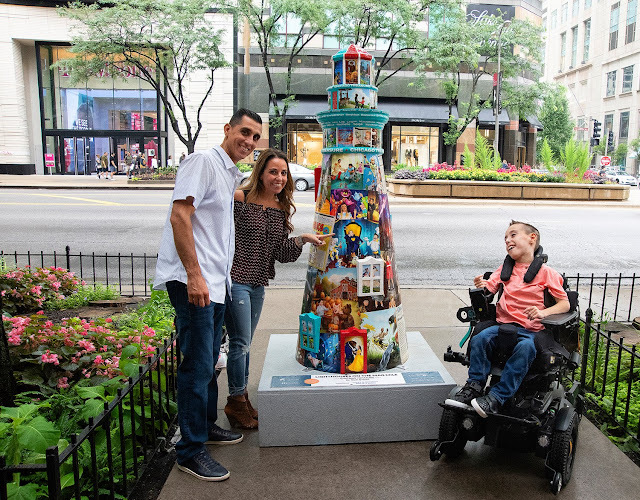 His chair became his throne as he calls for his pipe, bowl and fiddlers three. 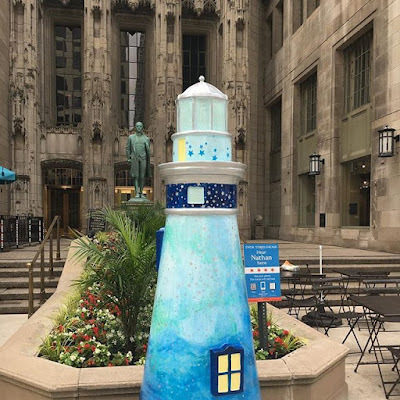 Rich Green’s illustrations on the lighthouse will be soon to be published book, Chicago Treasure that features photos of children from all over Chicago in leading roles of classic fairy tales, nursery rhymes and folk tales. 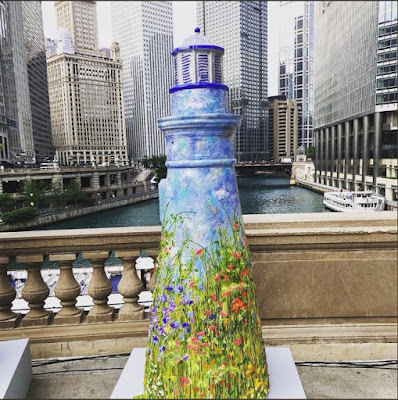 Proceeds from sales will be donated to The Chicago Lighthouse for People who are Blind or Visually Impaired, and Access Living.